Let the home improvement dreaming begin! Wander through 11 professionally landscaped gardens and meet with home improvement professionals from more than 650 companies. By the end of your journey at the Colorado Garden & Home Show, you'll be ready to spruce up your home in time for the summer. Sponsored by the Colorado Garden Foundation, the 2019 Colorado Garden and Home Show is "the oldest, largest, and most prestigious garden and home show" in the Rocky Mountain region. 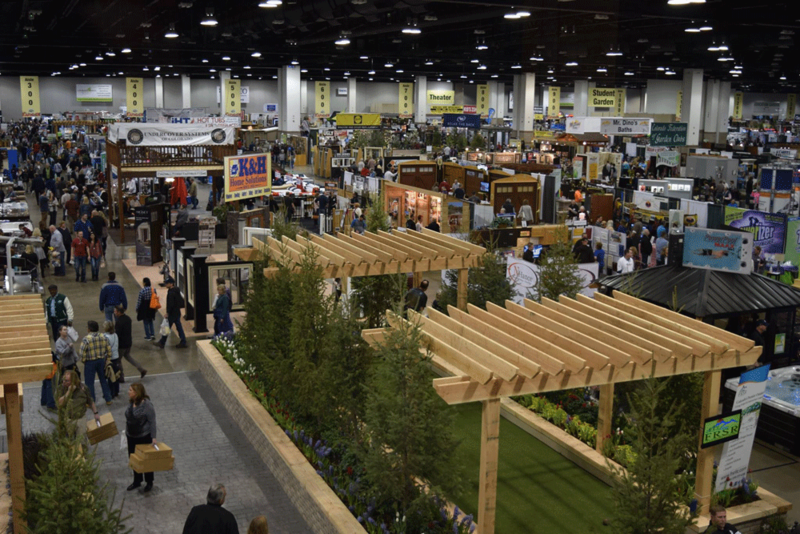 Guests will have more than 1,400 booths to browse, all of which showcase the latest trends and ideas in home improvement, including yard landscaping and gardening. Saturday, Feb. 9 - 10 a.m. to 8 p.m.
Sunday, Feb. 10 - 10 a.m. to 6 p.m.
Monday, Feb. 11 - 12 p.m. to 7 p.m.
Tuesday, Feb. 12 - 12 p.m. to 7 p.m.
Wednesday, Feb. 13 - 12 p.m. to 7 p.m.
Thursday, Feb. 14 - 12 p.m. to 7 p.m.
Friday, Feb. 15 - 12 p.m. to 8 p.m.
Saturday, Feb. 16 - 10 a.m. to 8 p.m.
Sunday, Feb. 17 - 10 a.m. to 6 p.m. Please note that prices do vary depending on the day of the event. Click here for ticket information. The Colorado Convention Center will be transformed, with floral gardens, fountains, greenery, patio surfaces, and more! Guests will also have the opportunity to attend educational workshops and panels, as well as visit with vendors selling playground equipment, furniture, windows, siding, countertops, and basically anything else you could ever need (or want) for your property. Visit the Colorado Garden and Home Show’s website for more information. Have you been to the Colorado Garden and Home Show before? Will you be returning this year? Let us know in the comments below. DIA has been named the fifth busiest airport in the U.S.!